Last Friday, November 19th, was the start of our Thanksgiving Break so my friends and I decided to go to Cape May, NJ for some birding with the hope of getting Tim and Josh some life birds and get me a few year birds for my Big Year. Nate Fronk, Tim Schrekengost, Josh Lefever, and a friend of Nate and Tim’s, Cory, and I were all packed up and ready to go Friday morning and made it to Brigantine, NJ by 2:00pm. Our first stop was the Forsthye National Wildlife Refuge. We birded the refuge till dark then went to our campsite in the Bass River State Forest. We managed to find close to 40 species at the refuge. 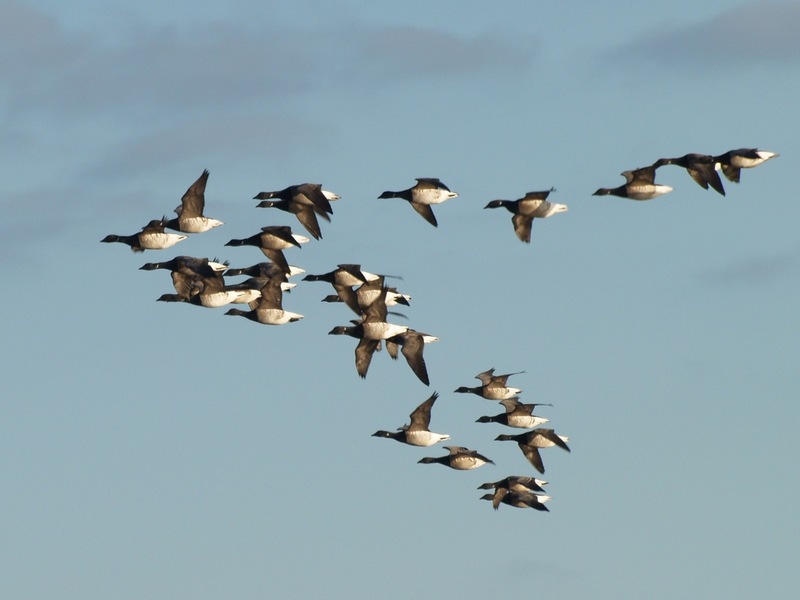 The first stop we made at the refuge was an observation tower at the start of the wildlife drive loop, waterfowl were everywhere – thousands of individual ducks! 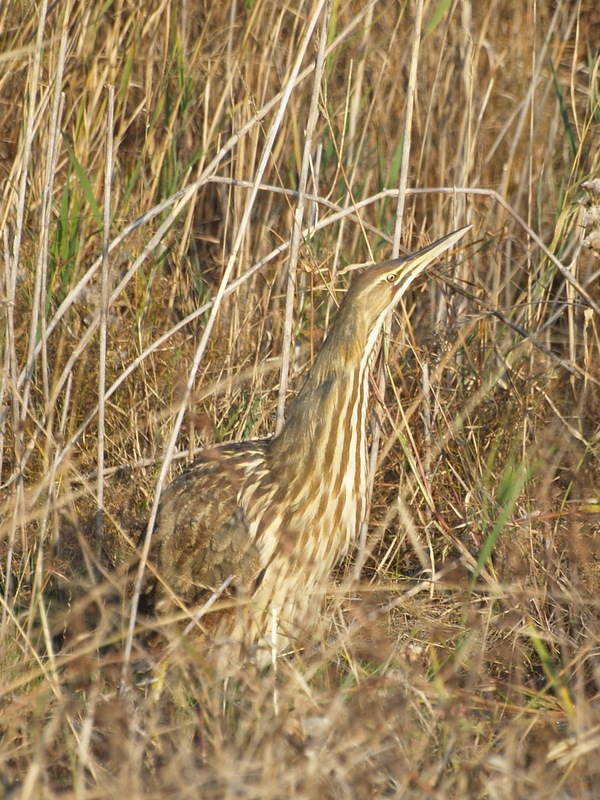 But the highlight of the refuge (and probably the whole trip) was an American Bittern standing right alongside the road, partially hidden in grass. Until then, I had never gotten such a long and clear look at a bittern in my life, plus this was a new bird for my year list! Like I mentioned, waterfowl were quite numerous at the refuge and we managed to see 12 different species including Atlantic Brant, which was a year bird for me! 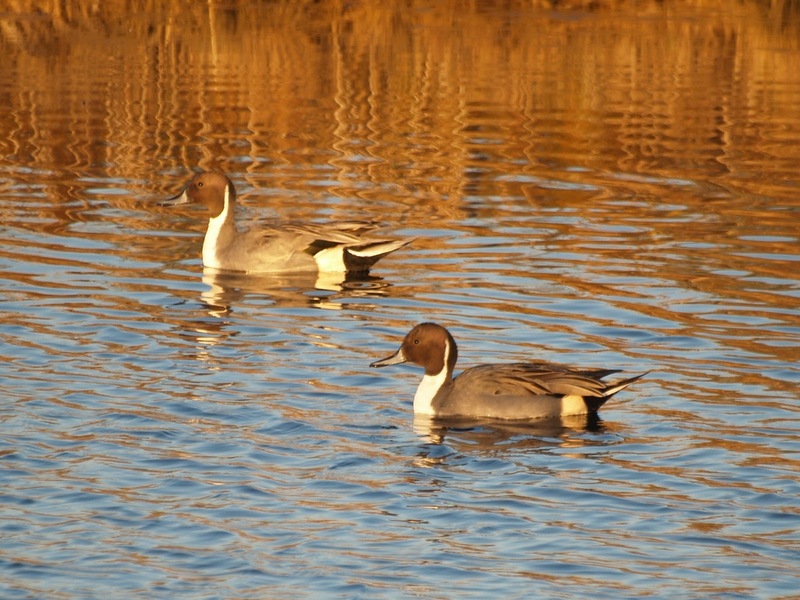 Northern Pintails were probably the most numerous dabbling duck species we saw, along with Green-winged Teal. Shorebirds were plentiful too, but not quite as diverse at waterfowl. 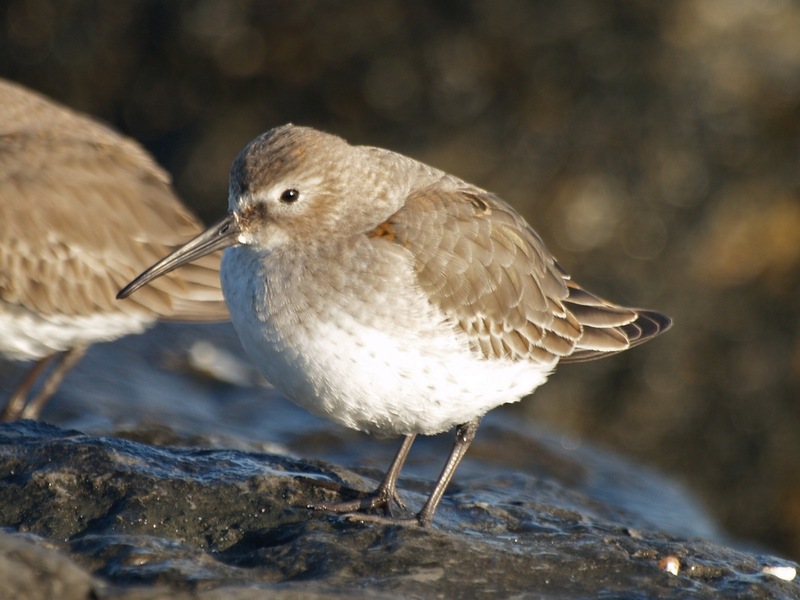 Dunlins were by far the most numerous species, with easily a few thousand throughout the refuge. Black-bellied Plovers were also abundant. 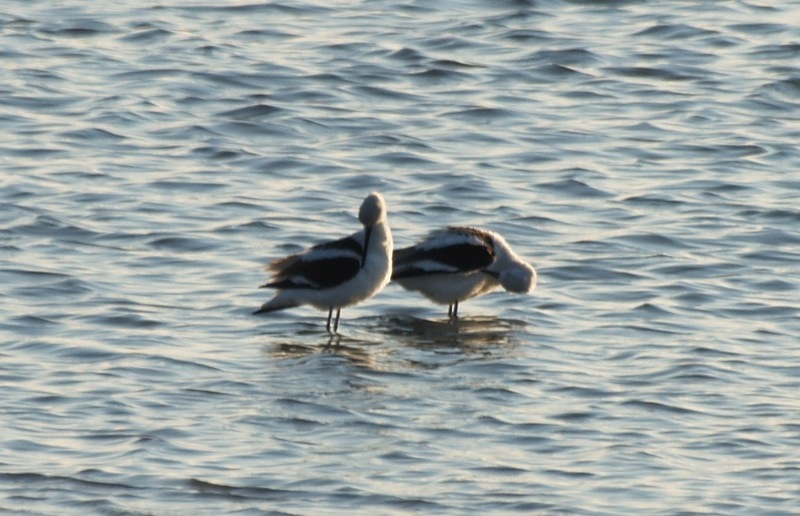 Six American Avocets were also a nice treat. 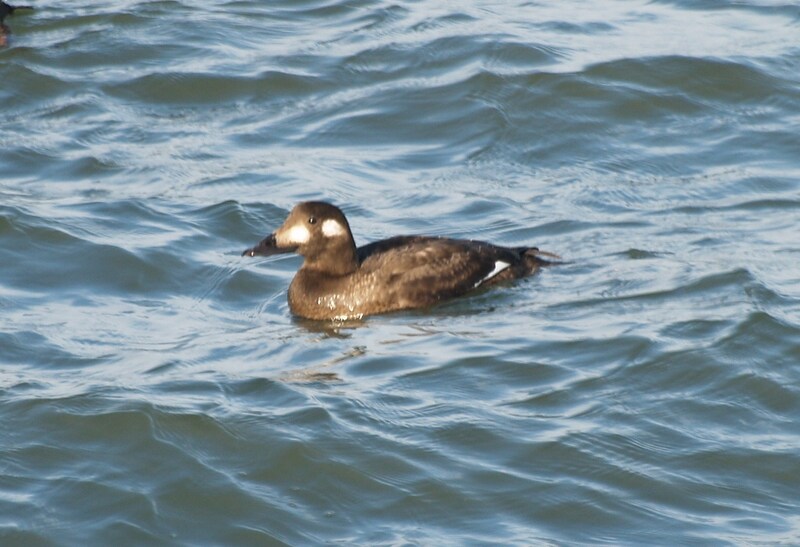 The next morning we woke up fairly early and drove over to the Barnegat Lighthouse, where there is a jetty that is famous for Harlequin Ducks, Common Eiders, and Purple Sandpipers. 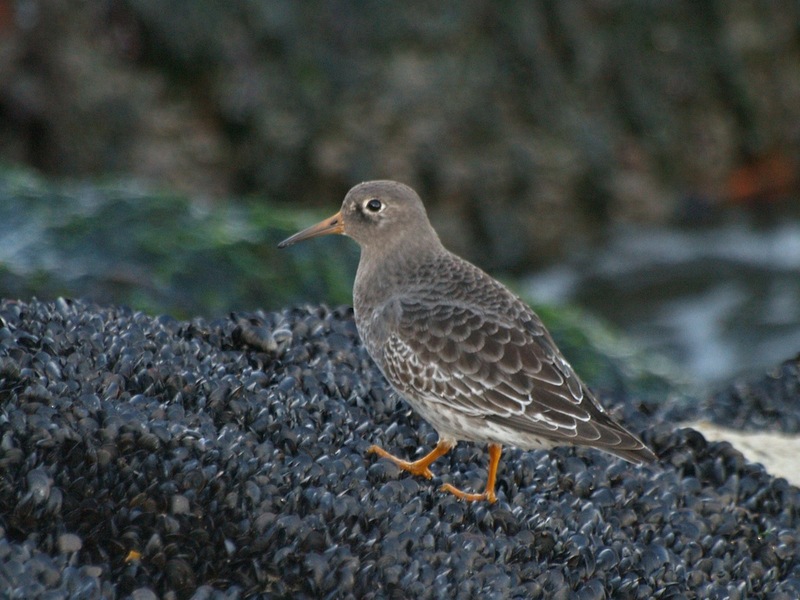 We stumbled upon Purple Sandpipers as soon as we started to walk out the jetty, and at the end of the jetty we found nice rafts of seaducks, including Harlequin, Common Eider, Surf Scoter, Red-breasted Mergansers, and some flyby Oldsqauw. 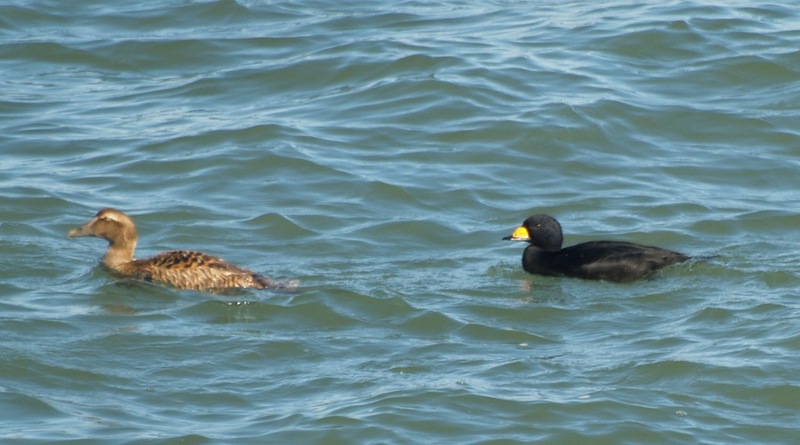 There were also three Great Cormorants perched on a Channel Marker. 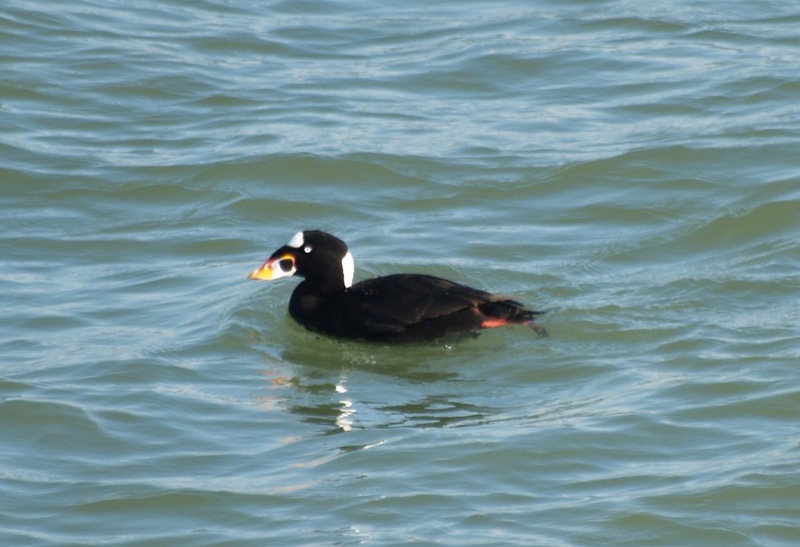 The Harlequin Ducks and Great Cormorants were new species for my year list. Other interesting species at Barnegat Light were one juvenile Brown Pelican, Laughing Gulls, Bonaparte’s Gulls, Forster’s Tern, Northern Gannets, and Horned Lark. Next stop was the Avalon Sea Watch in Avalon, NJ. We made it there by noon and walked out to the tip of the jetty to watch all the seabirds flying past. Red-throated Loons and Northern Gannets were the stars of the show, with hundreds of each species passing by. 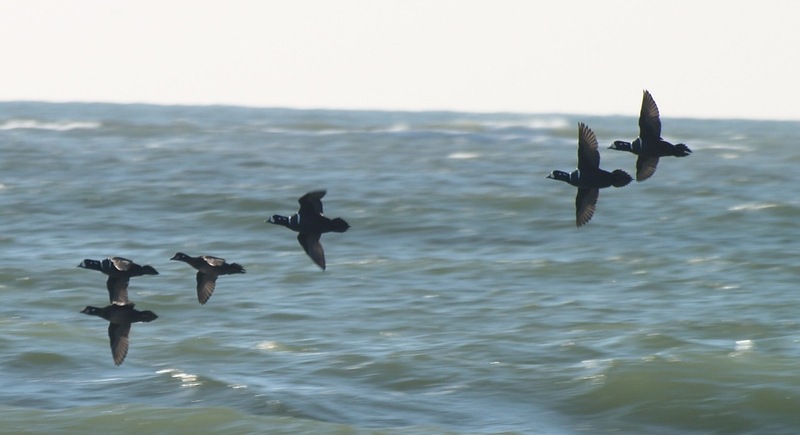 Surf, Black, and a few White-winged Scoters were also streaming by in good numbers. 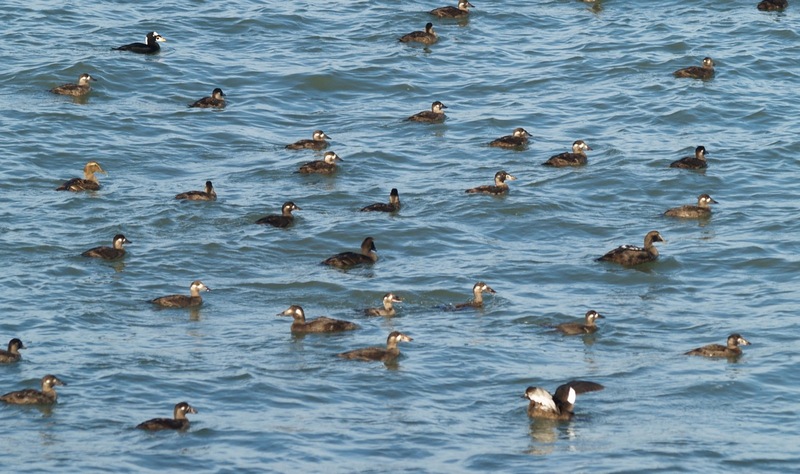 A raft of scoters right next to the jetty offered some good photo opportunities. 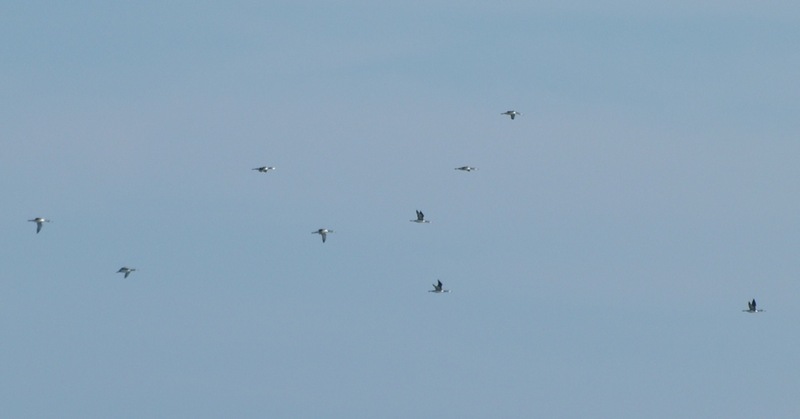 A flock of 35 Tundra Swans flew by; it was kind of strange to see swans way out over open ocean. 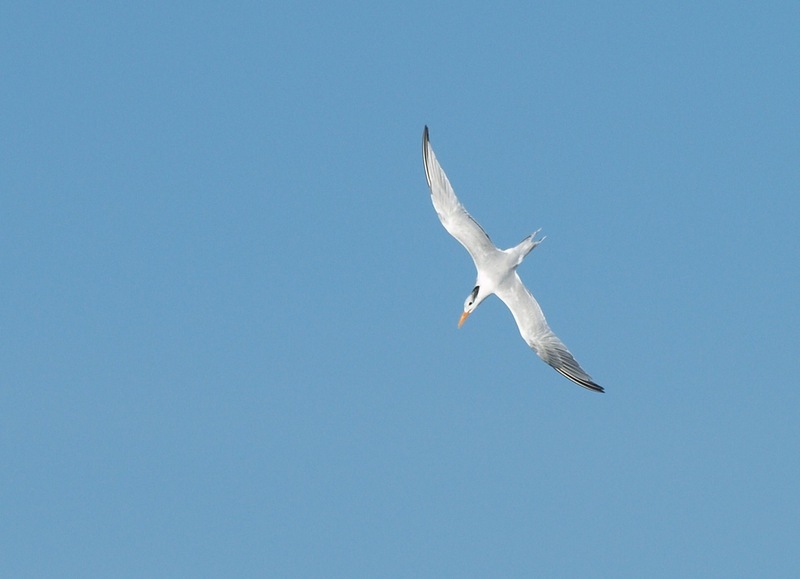 A Royal Tern also flew over. 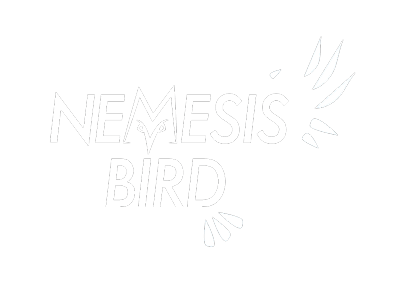 Check out New Jersey Birding – Part 2!